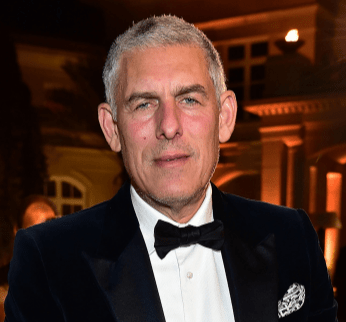 Lyor Cohen “Head Of YouTube Music” Signs 1 Woman Abuser & 1 Alleged Abuser. Lyor Cohen is known for signing some good artist. He is known for his biggest signing which was Jay-Z. He decided to start his own label and put his skills to work. Since he has discover artist such as Fetty Wap, Migos etc. But his last 2 artist might be trouble. Lyor signed Rich The Kid who career is on the rise. He is actually doing so good they gave him his own label Rich Forever. Rich The Kid signed his first artist by the name of Famous Dex, this is where everything goes wrong. Famous Dex has been spotted on a surveillance video hitting on a female many times. Alot of his associates has step away from him and he lost a few friends. 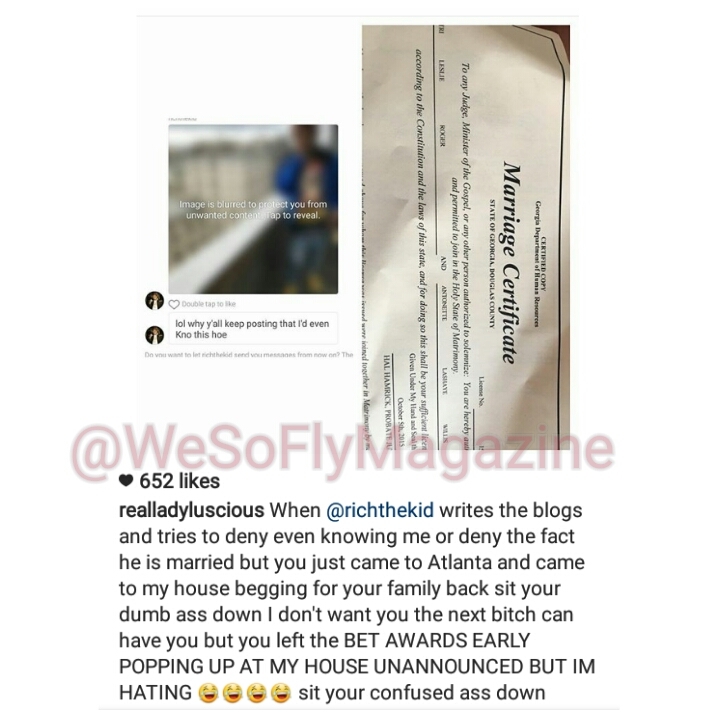 Then recently Rich The Kid wife posted pictures of herself bruise after am attack by Rich The Kid allegedly. 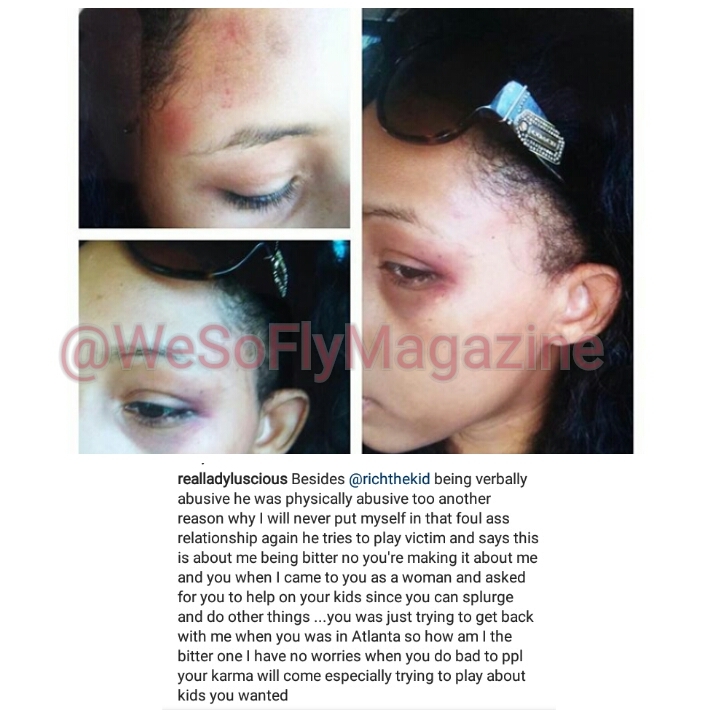 She is claiming that she held on to picks of her being assaulted, reasons are unknown. Rich The Kid denied it immediately. But then the wife release a recorded phone conversation of Rich asking her why she was doing this to him, it’s giving him a bad look. Famous Dex couldn’t deny his unfortunately he is on video which you can see below. Now we know YOUTUBE does not support this type of behavior. So know you got to ask yourself is YOUTUBE going to allow Lyor Cohen to head there department knowing not only does he have ties to these guys but he has signed them and have business with them. Will YOUTUBE have to release Lyor Cohen of his position or will Lyor have to release his 2 artist. We all will have to wait and see. If neither happens then it says alot about YOUTUBE as a company. NYPD Arrest Black Male, Duct Tape Him. Places Him In Body Bag. Lil Wayne Throws Up Rocafella/Roc Nation.